Representatives from Rowling House were invited to a special meeting to support Basildon Hospital Neonatal Intensive Care Unit – their chosen charity for 2018/19. 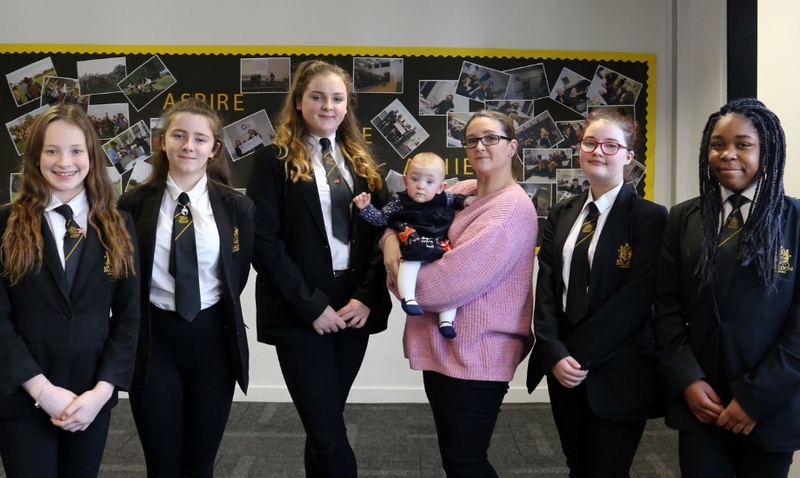 Ashley Simons, representing ‘Isla’s Journey’, came into school to share her positive experience of Basildon NICU and the work she is now doing to support pastoral care for NICU babies and their families. Ashley is a local teacher and in her workshop, she supported the students in developing imaginative ways to support their chosen local charity. The students have developed fundraising ideas, along with a list of items that could be produced to support the ‘Baby Packs’ and ‘Parent Packs’ which Basildon NICU is in desperate need of. During the session the students met Isla, now 11 months old, and spent time asking thoughtful questions about what the families of babies who spend time in NICU need. The packs students want to produce contain items such as knitted hats, toiletries, pens & paper – all items which students felt were crucial to supporting families of babies who are admitted to NICU. Moving forwards, our Community Champions will continue to work with Ashley’s guidance on fundraising ideas to produce packs for Basildon NICU, donating items for packs as well as funds towards their work.